Post subject: Re: The Shipyard at the End of the Ooniverse. Modeller's bit. Is it possible to change the model of a sub-entity/change the sub-entity while the game is running? I'm trying to make a ship that changes its shape when it goes on injectors, and I want to know if I can do what I described before I continue work on my model so that I don't have to go back and attach the would-be moving parts to the main model if it doesn't work. Yes, you can remove and add sub-ents 'on the move', so something like you suggest should be possible. I'm a bit of a Firefly fan and was wondering if anyone has thought about creating said ship for Oolite. Also on another subject, I happen to really like Ace's Cruiser and wondered if anyone thought of doing a couple skins for it to give some verity to it. I would try my hand at changing the skin color but can't open said oxz. Tried a few times. Also on another subject, I happen to really like Ace's Cruiser and wondered if anyone thought of doing a couple skins for it to give some verity to it. If you give me new textures I will be happy to do the code for you, easy to publish as an extend. Okay. I did a quick color change last night on the current skin but could not repackage it. I'll be honest, I have no clue what I'm doing. Never did a ship texture and definitely have no idea how to code or package anything for a game. 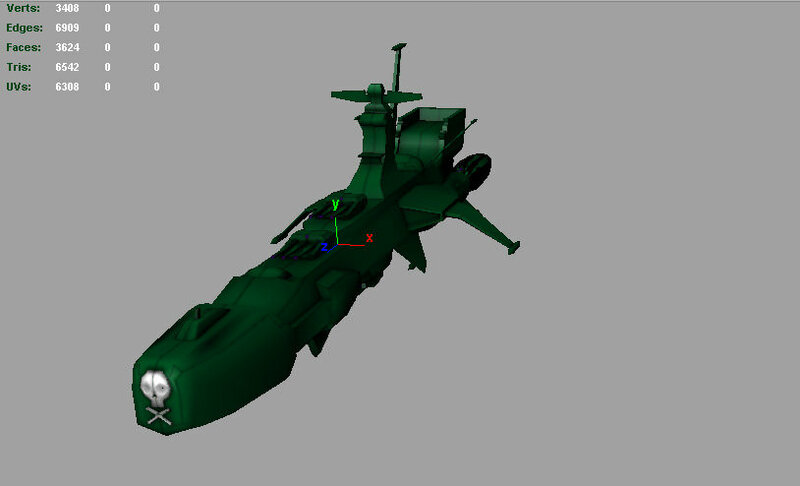 So what 3D modelling software is most popular for ship creation? I believe Blender is popular - and free. Thanks Cody. I have downloaded it. Now to try and get my head around how to use it. Thanks for the link! I may well end up using it mostly for non-Oolite related things, but I think I'll be toying with this a little. I have a question. If I came up with a ship 3D model from blender, is there someone willing to skin and code it to work in Oolite? I maybe even willing to pay if possible. I just really want to own and fly the Arcadia, from Captain Harlock, the anime. always thought it was a cool ship and since we have Planet Express and a few other obscure cult Sci-fi ships we can add, I thought it would make an awesome addition. If anyone is interested in said project please let me know. Nice ship! Maybe a simple skin is enough in the first version, like the full metal ones in the recent screenshots topic. In this way you can save the hard work of proper texture making. Another simple way is what I used on Granite Ships, without hand-drawn unfolded textures I just applied one of the stock patterns of GIMP as diffuse image over the whole ship. I can not offer to make a more complex custom skin but using one of these ways I can make a flyable ship for you. But I guess you also be able to replace the model in an existing simple ship oxp, rename the dataKey (the first string in quotes) in shipdata.plist and shipyard.plist, then adjust the other ship parameters below like max_energy using a text editor other than notepad. Just ask if you stuck somewhere.